Back-to-back 1-1 draws against Leicester and West Ham allowed Manchester City to briefly overtake them at the top of the table prior to the Reds’ 3-0 win over Bournemouth on Saturday. ‘He has been calm and the backroom staff have been a different class,’ said the Scotland captain. ‘They are the team behind the team and they are the ones who keep us going and positive. When people say he is nervous or we are nervous it couldn’t be further from the truth. 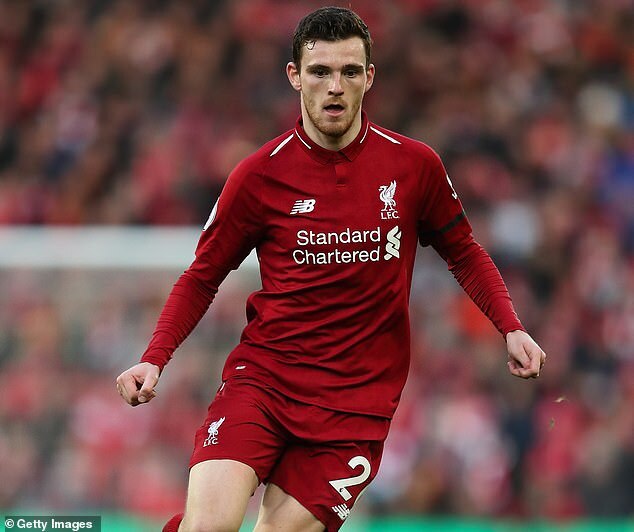 ‘I don’t think it’s a message to any other team or anything,’ said Robertson. ‘It’s maybe a message to our fans and everyone connected to the club that we’re here. ‘It’s been difficult for us, personally I think it’s not just a home form and away form, I think it’s just inconsistencies,’ he said. ‘We’ve had inconsistencies and never quite found that way to produce results.